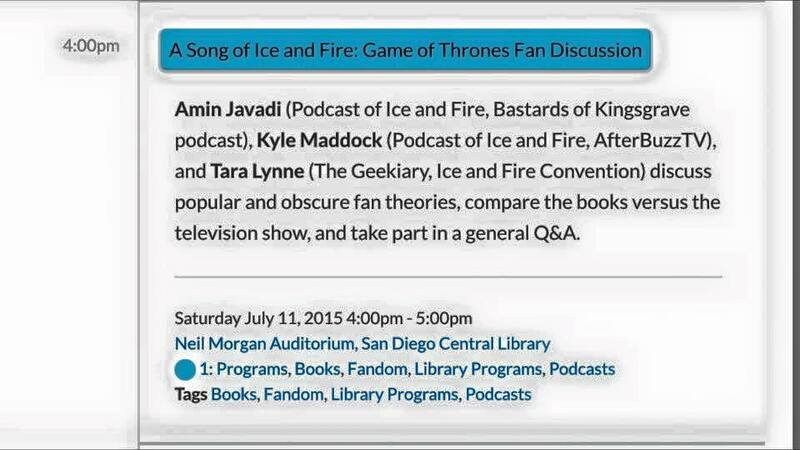 Earlier this year, my friend Amin of A Podcast of Ice & Fire (the longest-running Song of Ice & Fire/Game of Thrones podcast) contacted me and asked if I would be interested in being on a panel with him and fellow APOIAF host Kyle at San Diego Comic-Con. 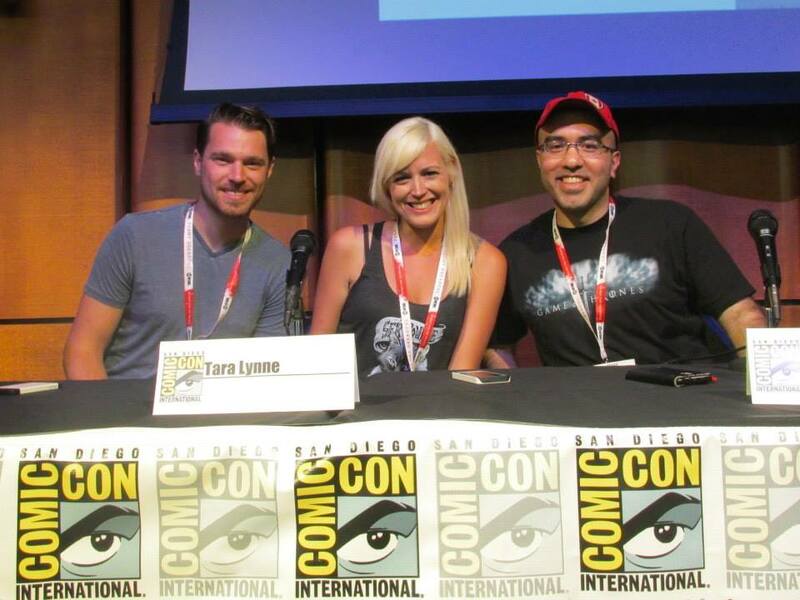 Before this year, there were no ASOIAF/GoT fan panels at Comic-Con, so he wanted to apply to run one. Considering I was already going to SDCC as press and have a good bit of experience as a panelist, I was excited for such an opportunity and of course immediately agreed. Months later, we finally received noticed that the panel had been accepted, and then a couple of weeks before SDCC the schedule came out, which meant it was officially official. Despite having been a panelist and even a guest at other conventions before this, nothing really compares to seeing one’s name in the SDCC program. I mean, it’s The Big One, you know? 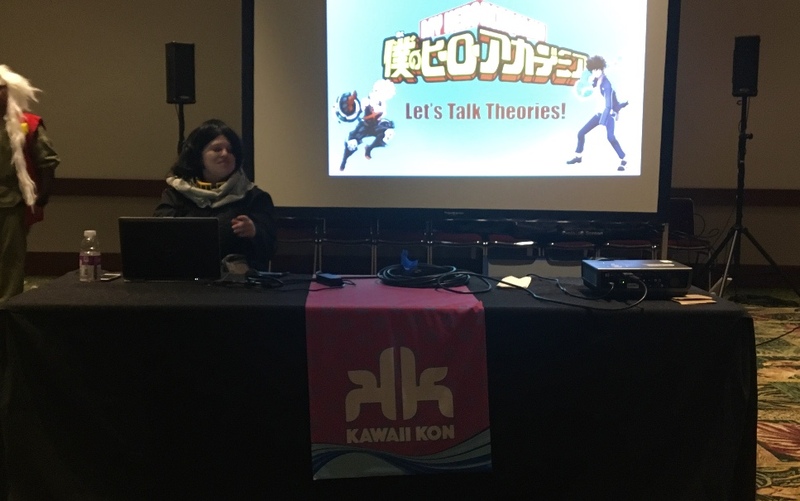 Our panel was located at the library, maybe a 10-15 minute walk away from the convention center (though if we try to do it again next year we hope to be in the convention center itself). The good thing was that even though it was a bit out of the way, we had a pretty good turnout! I didn’t count exactly how many people were there, but it was definitely more than 75 and possibly closer to 100. That may not sound like many, but I’ve attended SDCC panels that had about 20 people in them, so I was more than happy with our numbers. 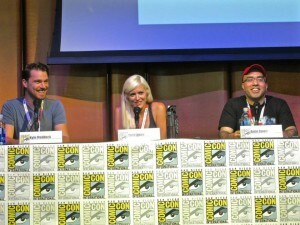 So Kyle, Amin, and I talked for a while, and then asked for audience input/questions, all of which were great. (I still need to finish reading up on The Grand Northern Conspiracy.) We even invited the attendees to join us for drinks nearby after the panel, and several of them came with! 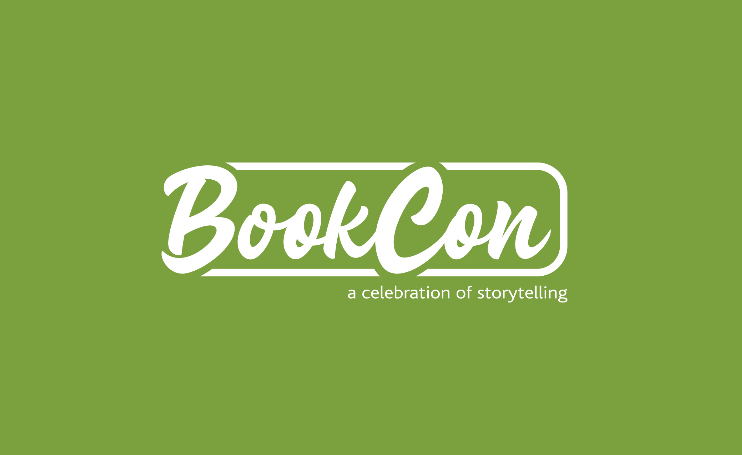 This led to another couple hours’ worth of ASOIAF discussion…and I’m kind of hoping that next year, if we do this panel again, we can set up a more formal after-panel get-together/party. 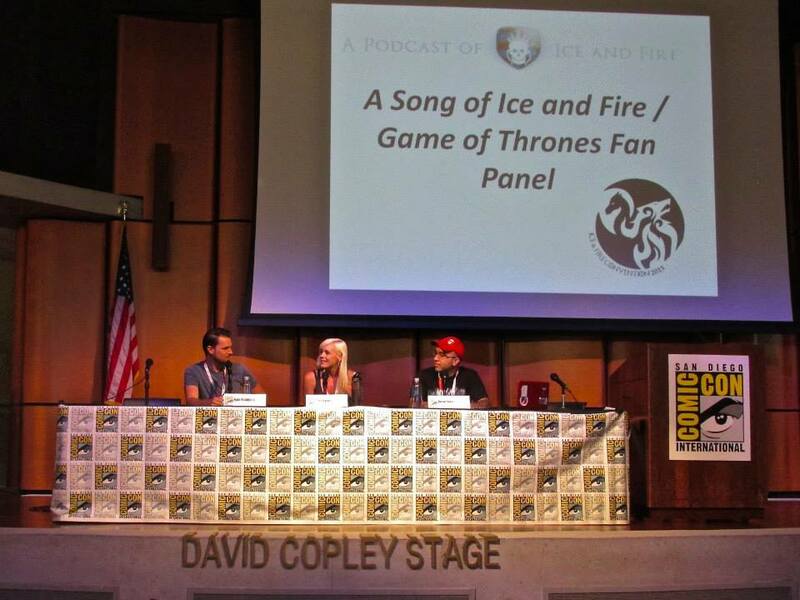 The week after we all returned from Comic-Con, I was invited to be a guest on A Podcast of Ice & Fire, to talk about our SDCC experiences (including the panel, of course)…and that podcast, along with audio from the panel, is finally out! You can listen to it on their website or download it from iTunes. 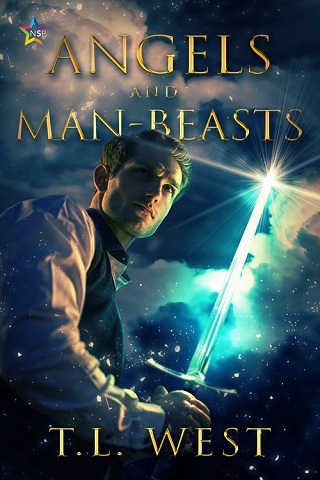 Please note that the panel audio includes spoilers from all published works in the Song of Ice & Fire series as well as through the end of Game of Thrones season 5. Additionally, our recorders didn’t pick up some of the audience questions very well, so things were trimmed here and there, though I think it’s still clear where there was audience participation. And hey, at least now we know that next year all audience members need use the mics when asking questions. 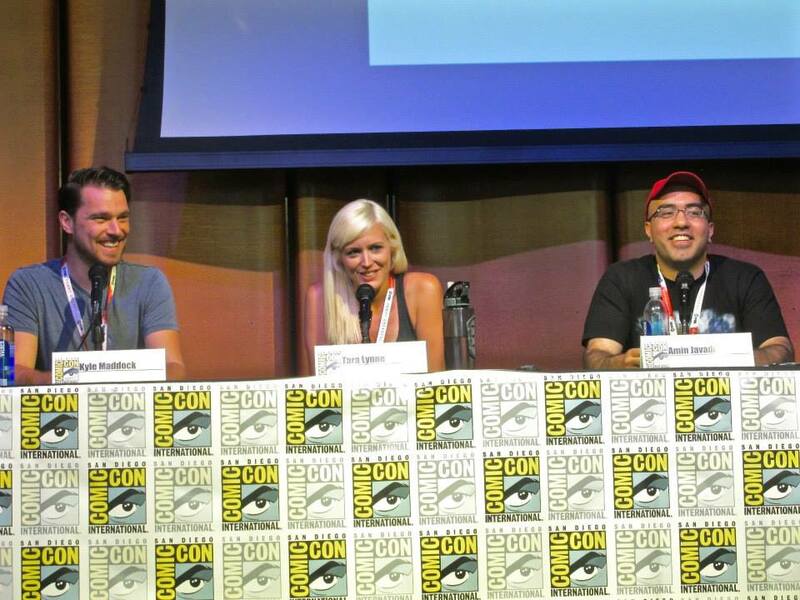 So obviously being a panelist at SDCC was great. I have absolutely no complaints, and I really, really hope to do it again next year. Thankfully, I think Kyle and Amin feel the same way, so now it’s just counting down the days until we can reapply, I guess!